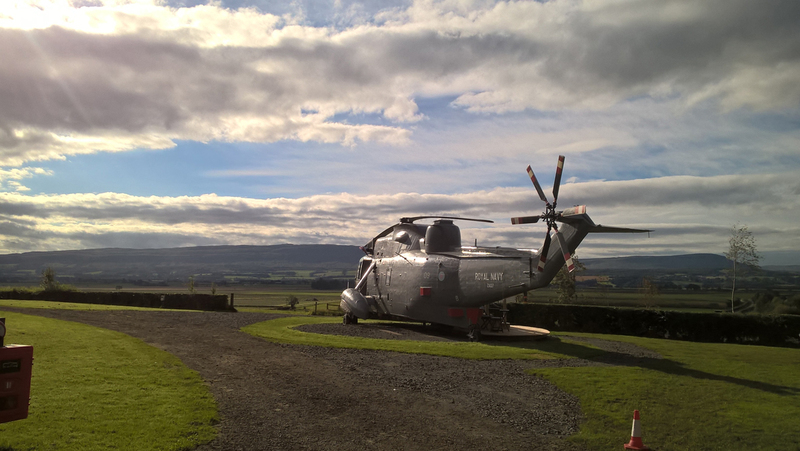 The team at Mains Farm in Stirling, Scotland, thought creatively and invested in a decommissioned Royal Navy ZA127 Sea King Helicopter, so they could turn it into a unique form of overnight accommodation. 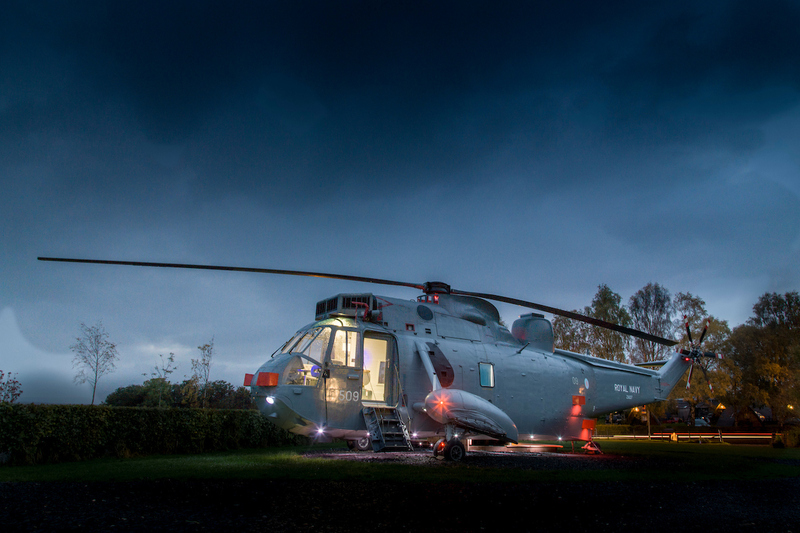 The helicopter has had its exterior updated and the interior has been transformed into a place where you can stay overnight. 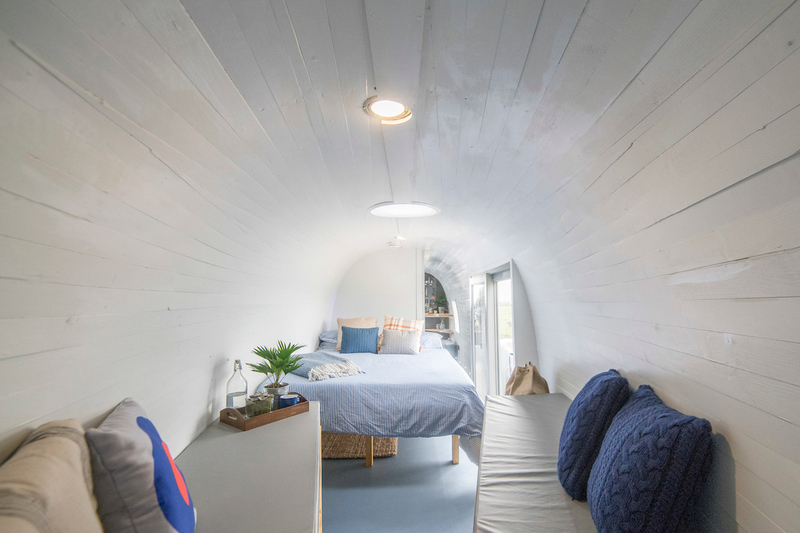 The cockpit, which still has the flight deck, now has a couple of swivel seats and a table, made from an old fuel tank cover. The views from the cockpit look out over the surrounding picturesque landscape. 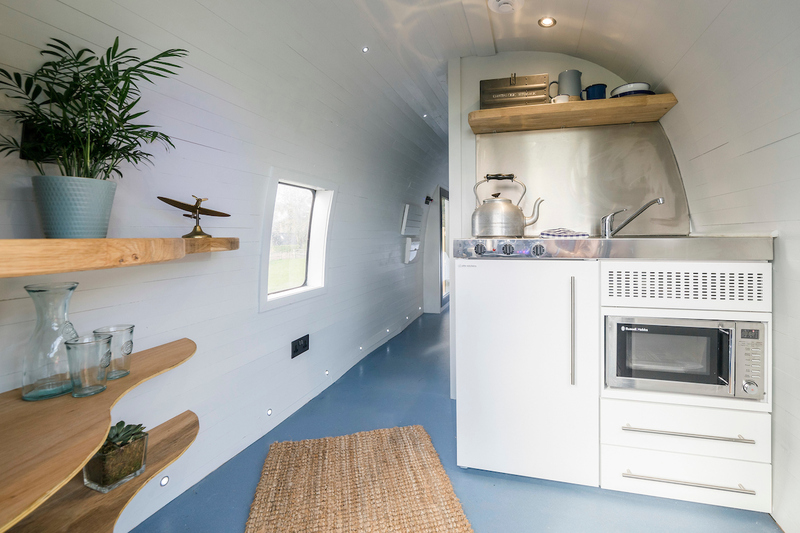 The bright white interior has a small kitchenette with stainless steel counter and backsplash. Floating wood shelving and a plant add a natural element to the interior. 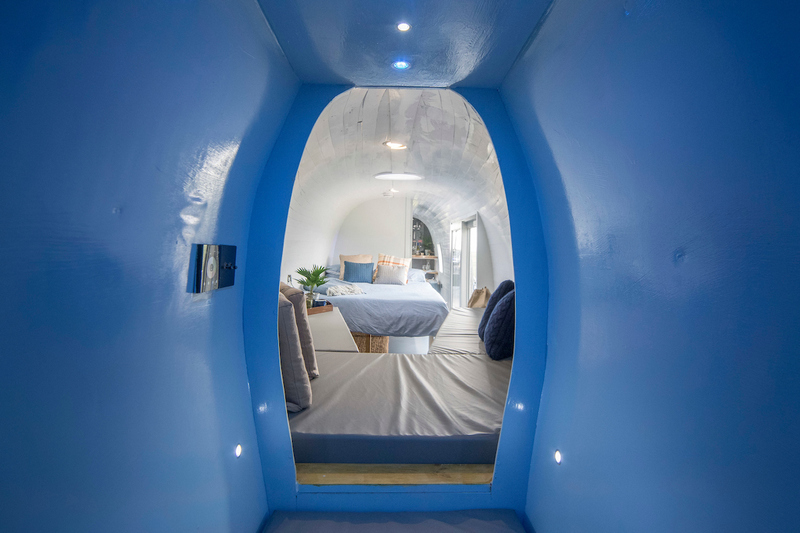 In terms of sleeping quarters, there are a few beds that can sleep a family of five (2 adults and 3 children) with a double and a triple bed as well as single bed in the tail. 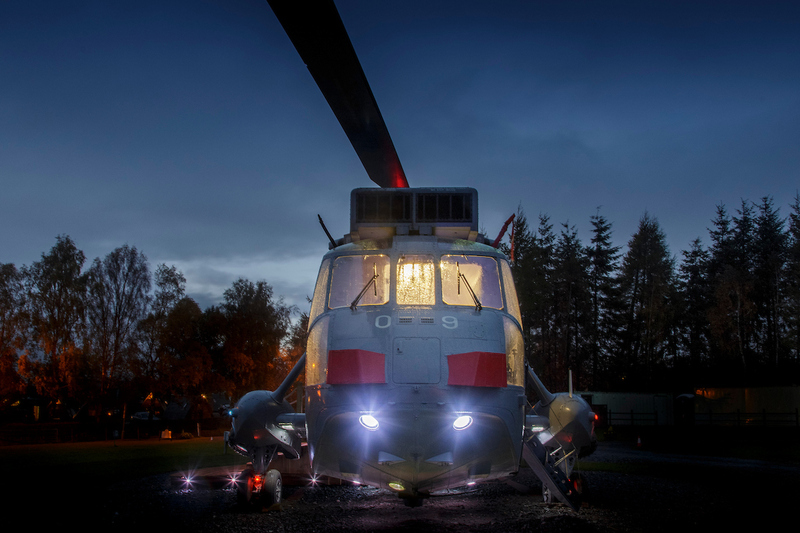 To make sure the helicopter stays cool in summer and warm in winter, the walls were insulated and white painted wood paneling was added, giving the appearance of the inside of a boat. 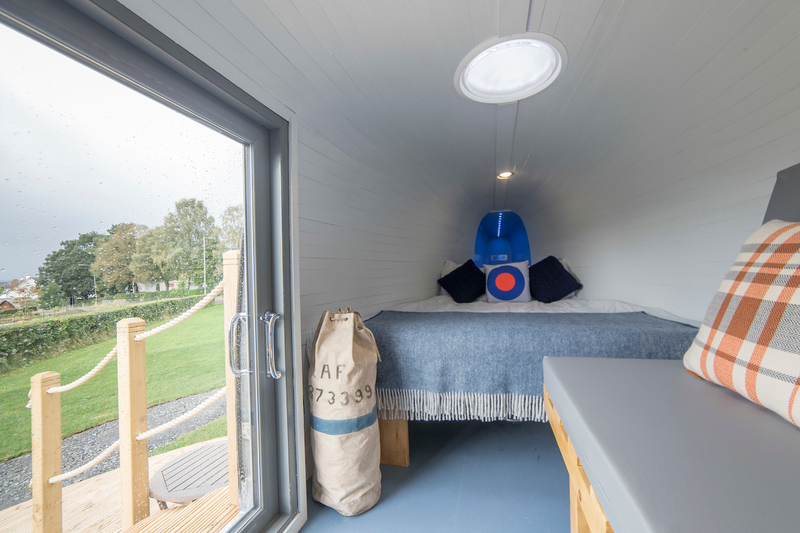 Doors and windows have also been added to provide additional light where needed. 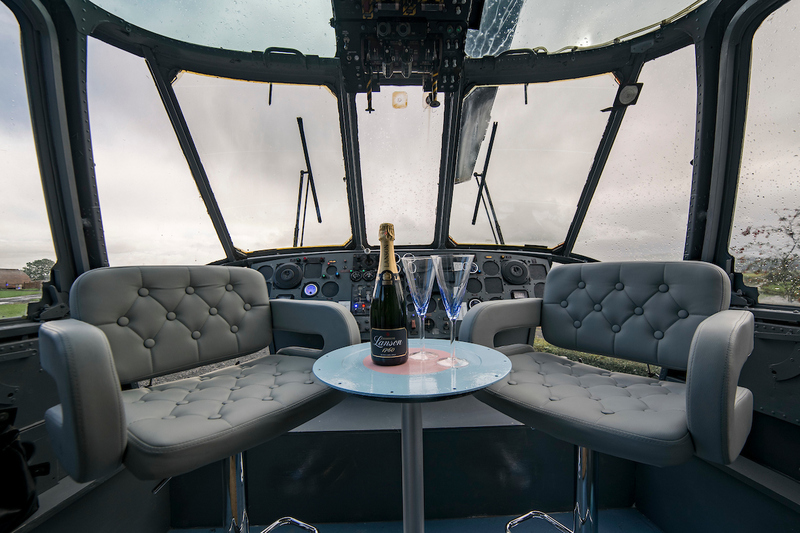 To find out more about Helicopter Glamping, you can visit their website, here.